Big-online-pharmacy.org is an online pharmacy that is offering to their customers both generic and branded drugs online. As they claim, the customers’ satisfaction is their top priority and that’s why they are offering only top services by customer support service with low priced medications and high quality drugs. I’ve been searching for information about where this online pharmacy is located or for how much time it has been serving the customers but unfortunately no information was found about any of these points except for the copyright information: 2008 – 2018 and I can assume that the pharmacy claims to be online for the last 10 years. There also seem to be information on their website suggesting that no prescription is required but from as much as I noticed, they do seem to offer prescription drugs and that’s not a good sign. I will try to determine this later. According to their policy page, the pharmacy is having different policies taking very seriously the customers privacy and security according to their policy, but you can also read and be informed about the shipping policy, return policy, cancellation policy as well as refund/reship policy. I honestly think that all this information need to be carefully analyzed before actually making an order. All in all, the pharmacy looks good with good information on the site, however I think that customers should check it all, and that’s what I am going to try to do by writing this pharmacy review. There seem to be a lot of different medications for a lot of conditions such as: allergy; anti fungal; anti viral; antibiotiocs; antidepressants; asthma, beauty products; cancer, birth control, diuretics, diabetes, cholesterol, blood pressure, erectile dysfunction, eye care and many many other different categories. They are arranged in the alphabetical way so people can find the category they need easier. After choosing the category of the medication, you’re going to see the full list of medications found on that category. There you would find the list of both generic and branded drugs found out there. I have checked the category of ED drugs which seems to be the widest category and there I found such drugs as: brands - Viagra (Sildenafil), Cialis (Tadalafil), Levitra (Vardenafil). And also the generic form of such medications: Generic Viagra, Generic Viagra Super Force, Generic Viagra Soft, Generic Viagra Professional, Generic Red Viagra, Generic Levitra with Dapoxetine, Generic Priligy, Generic Cialis Black, Generic Cialis Soft and many others. The problem is that although there seem to be a lot of different medications for a lot of different health conditions, there are some categories that do not have as many products. Only ED category seem to have a lot of different items while other categories have only one or 2 items. People searching for ED drugs have high chances to find a needed products and that’s why my rate is going to be 4 points here. 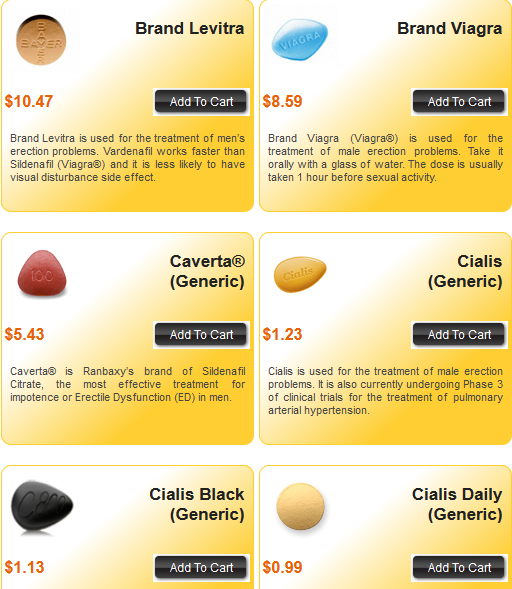 I’ve been mostly intrigued in checking the prices affordability for ED medications and by checking those prices here’s the list of the lowest possible prices for the most famous ED medications: Starting price for Brand Viagra is $8.59 per tablet; Starting price for Brand Levitra is $10.47 per tablet; Starting price for Brand Cialis is $9.53 per tablet; Starting price for Generic Viagra (Sildenafil) is $0.78 per tablet; Starting price for Generic Levitra (Vardenafil) is $1.69 per tablet; Starting price for Generic Cialis (Tadalafil) is $1.23 per tablet. Nevertheless, the prices can be much worse as that’s the list, as I said, of the lowest possible prices, the prices can be higher if getting higher dosages or more quantity of pills. Here’s an example of 90 pills of generic Viagra 50 mg.
1.48 USD per pill of 90 generic Viagra 50 mg pills that’s pretty much to be honest. I have seen pharmacies offering at least 50% less – less than 1 USD per pill. 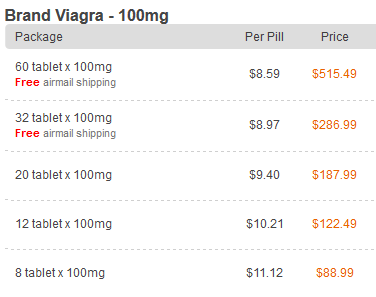 Next medication is brand Viagra which comes only in 100 mg form and the price is between 8.59 USD and 11.12 USD per item. That’s not a good price either as there are pharmacies with prices less than 4 USD per item and that’s twice less of a price. With all of this being mentioned, the pharmacy doesn’t offer such a good price policy as the prices are affordable, but other pharmacies are offering prices that are much more affordable. 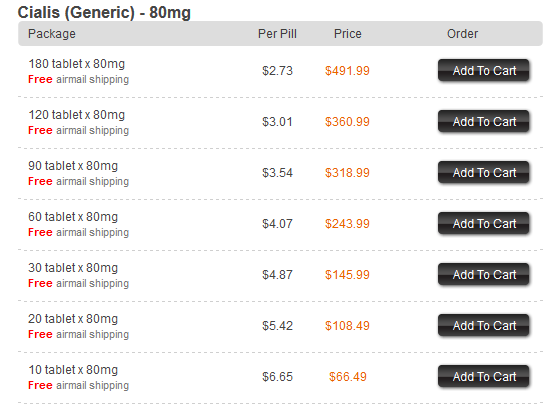 With all of this being said, my rate for the prices I have found at this online pharmacy is 3 stars. You can still save some money, but I think that other pharmacies are offering much better prices where people are able to save much more money if they would go and purchase some medications elsewhere. According to the information that I have managed to find on Big Online Pharmacy’s website, they are offering world wide service and that’s why people all over the world can purchase medications from this pharmacy regardless of where exactly they live. Also there, they suggest that all the orders are being packed in discreet envelopes and this means that the packages do not have any inscription on them about the contents inside. There’s also info suggesting that the parcels are being sent discreetly from an Indian top quality and certified manufacturer. The information on the site specifies that they are not accepting returns and that’s because of the nature of the products they are offering and they won’t accept it even if the package was unopened. The pharmacy is claiming that the customers are able to receive free shipping. To get the free shipping option, customers need to order 200 USD at once or more. However it seems that there’s something wrong on their site as on my cart I had an order worth 30 USD and still the standard airmail service was for free. There are 2 shipping options – 19.95 USD for trackable that delivers medications in 5 to 9 days and has tracking. The standard seems to be for free, but has no tracking and 14 to 21 days to deliver. The last thing to mention here is the fact that this pharmacy is guaranteeing a free of charge product replacement or full money refund in case the product is not going to be received within the promised delivery time. Taking in consideration all of the fact that I have managed to find and specified above in my review, my overall rate is 3 points. By browsing their website, right on their main page, you can see that this online pharmacy is having an icon which suggests that the pharmacy is accepting 2 payment options which include: Visa and Master Card. But I got interested in finding out if they are accepting anything else than just visa and master card by trying to go on the checkout page. but no, indeed, the pharmacy is offering only Visa and Master Card as good payment options. Other than that, there does not seem anything else. The fact that they are having most famous credit cards that’s really good, however they do not seem to offer anything else other than these and for this reason my rate is 2 stars. As much as we can see, the mobile version is yellow marked with a score of 81 out of 100. That’s not a really good indicators meaning that some problems might arise when browsing the site. The desktop version seem to be better as it is green market and scored 95 out of 100. This means that problems shouldn’t arise. All in all, there are few chances that page speed to be problematic and that’s why I rate them with 4 points. Another really important thing for a modern website is to have a mobile version as a lot of modern customers might want to access the site and arrange orders from their smaller screen device – mobile phone or otherwise. Using google test mobile friendly I have discovered that the site does offer a mobile version of the site and that’s a very big advantage to my opinion as a lot of nowadays customers are getting their items from phones or tablets and the medical products are not an exception. There does not seem any problems at all, it is all organized, no too large items on the screen, clickable elements are reasonably placed from one another on the screen and the text is readable without too big or too small elements. Browsing the website from a phone won’t be a problem and that’s really important. Satisfying the customers’ needs by providing them the mobile version of the website that’s really good as this offers a good experience for all mobile users which have a big number. That’s the reason I think that the pharmacy deserves a rate of 5 points for this. Is Connection on the Site Secure? In order to check if the online pharmacy is offering a secure connection, people can check if there’s a green lock near the address bar where you enter the website’s domain address name. If the green bar is there then your connection is secured. I checked the information and the website is using a 128 bit SSL (Secure Sockets Layer) encryption technology. This means that the personal information of any customer is encrypted and this is being verified by the company: Let’s Encrypt. Sadly but the 128 bit SSL Security is being considered to be a minimum security level. plus to that, the information that I have been searching about this pharmacy’s security has not specified the owner of the website and this means the information is hidden. The added information would make the pharmacy a more trustworthy pharmacy. Because they are not using a higher security levels and because the owner information is hidden I only rate them with 3 stars. A better security level would result in a better mark. The antivirus is extremely important for a reliable online pharmacy as this ensures that their customers’ personal devices are safe from getting a virus. Unfortunately, this website does not use an antivirus software to protect the customers’ personal data and that’s not a very serious attitude from the pharmacy. Viruses or any other internet threats can easily get into your personal device by browsing this site and hackers might steal sensible information from there without you knowing about this unless you protect yourself on your own. I recommend customers to install an antivirus on their device before browsing this online pharmacy otherwise you might find yourself with a virus. I think that this pharmacy should do something about this problem to make this place safer. But as long as big-online-pharmacy.org is remaining a risky place to purchase medications online I am not able to rate them with anything more than 1 star. It is really important for any customer to have security when shopping but it is exactly as important to be able to purchase medications easily and faster. So, the convenience of ordering is important as there are pharmacies where the convenience of ordering is very low. I hope this is not such a pharmacy. First to mention here, Big-Online-Pharmacy.org is not making the registration mandatory for ordering drugs on their website and I find this to be a big plus over those pharmacies making the registration mandatory. This is allowing the customers to save a lot of time as usually, the registration is requesting a lot of personal information which requires a lot of time to fill it all up. When you start your ordering you might notice on the right side of their page that people can change the currency that the prices would be displayed. That’s really convenient. So you can start the ordering procedure. You should choose the preferred drug from the different drugs in their catalog of medications. If you don’t like using the categories of medications, customers can search for their needed medication using the first letter of the drugs and lastly, there’s the search function. There are 5 different and simple steps that you should do to complete an order: Find the medicine you want to order, select the dosage and the number of tablets; Add the product to the shopping cart; Proceed to “Checkout” by clicking “Order Now” button; Fill in the information required (billing address and payment information); Click “Place Your Order” button. These are all the steps required to fulfill an order. 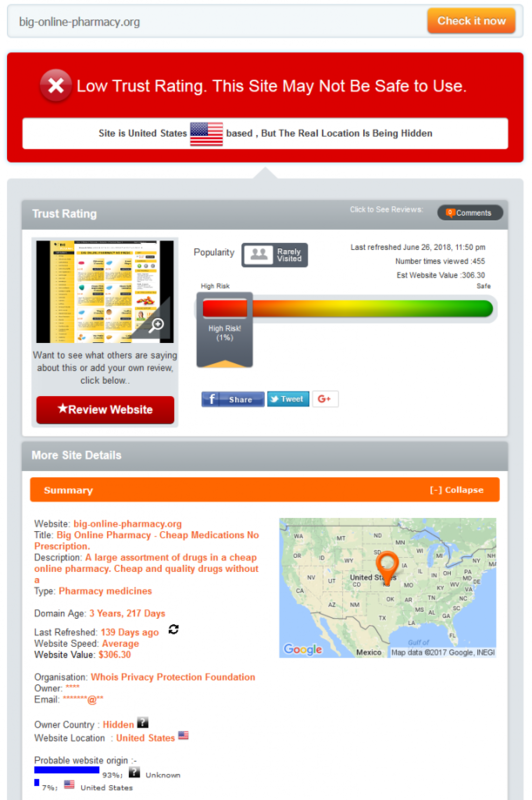 Since it is so easy to make an order at this pharmacy big-online-oharmacy.org is going to get a rate of 5 stars. As much as we can see – 1 % of trust with real location of the site is hidden and that’s really problematic. The scamadviser.com report about the site is receiving 1 star. It seems that I was right in the beginning of this review when I said this pharmacy doesn’t ask for a prescription. That’s because the pharmacy, indeed, doesn’t ask for a prescription to sell such medications. That’s a sign of illegal activity of the pharmacy and a sign that the pharmacy doesn’t really care about the customers’ health. Having an irresponsible approach to sell drugs deserves a rate of 1 star. 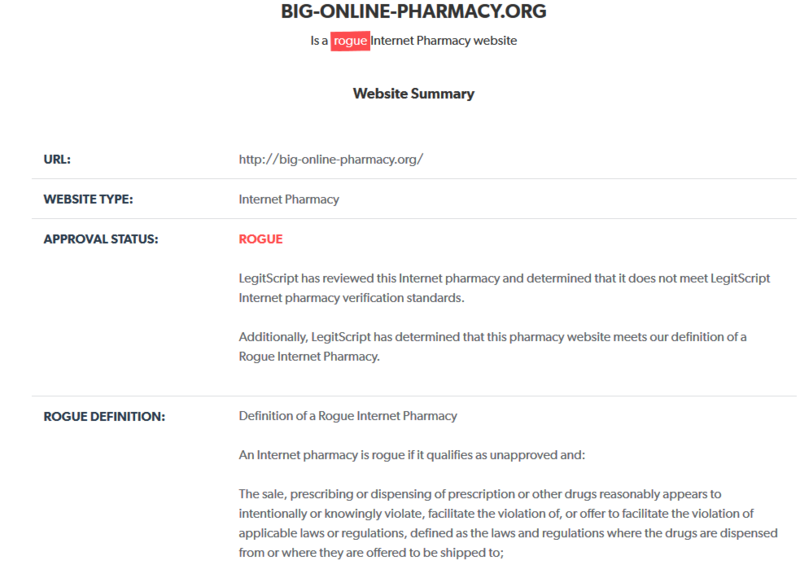 Exactly as the status on scamadviser.com, big-online-pharmacy.org is being rated as a rogue internet pharmacy and that means that this company is not meeting the online pharmacy verification standards. This is a really bad status meaning that it doesn’t meet any standards at all. Since the company violates the laws regulating the pharmaceutical online business there are chances customers would get fake medicines. That’s the reason why I am going to rate them with 1 star. The customer reviews is a very important factor when talking about the pharmacy’s reputation and trustworthiness. That’s because the reviews should have been written by real people who had real experience with the pharmacy. I’m always interested in all sorts of review – positive and negative. By searching for reviews on their website I have found out they are offering a page with *testimonials* and there seem to be a total of 11 different reviews. All of those 11 reviews include the names and the age of the reviewers and they are all positive. Plus, the reviews seems to be unique as well. But there are problems – no dates are attached out there meaning we don’t know when exactly those reviews are written as they might be outdates, plus to that, those are all very short barely informative reviews. and what’s also strange – how there can be only positive reviews? I have found absolutely no proof anywhere that those are customer reviews written by real people and they are too strange to look like real reviews. For this unit I rate them with 2 stars as it is hard to have trust in those reviews considering them real. As I just mentioned, it is hard for me to have trust in the reviews that I have managed to find on their website, for this reason I have started to search for customer reviews on other, foreign websites. I was searching the entire internet, all the independent forums and other reviewing websites for mentioning anything about this company and nothing. There was not a single word mentioned about this pharmacy. How it is possible that a 10 years old company (as they claim) to have 0 customer reviews that’s unclear but for all these reasons my rate is 1 point for this aspect. Unfortunately, I was not able to get any coupon or discount codes available on their website or anywhere else online. There are pharmacies out there offering discount codes which make the customers save a lot of money but seemingly not Big Online Pharmacy. The only ways to save some money at this pharmacy includes: the shipping fee is reduced to 0 USD if you purchase more than 200 USD. Plus to that, the pharmacy offers discounted prices for medications if you buy drugs in bulk and lastly – free sample pills. 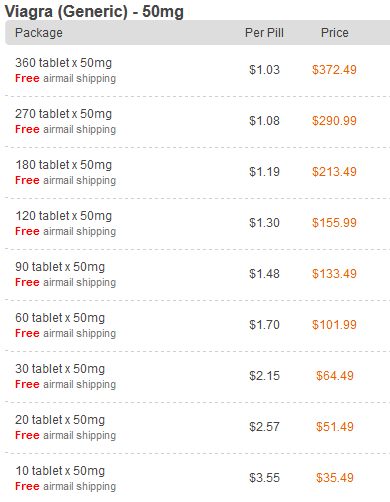 As much as we can see, people should spend a lot of money to get free shipping or get a lot of pills to save a bit of money which also means spending a lot of money or get only 4 sample pills for free. I honestly this that these are not enough methods to save money and that’s why my rate is 2 stars. Clicking on the *contact page* I got seriously disappointed to see that only the contact form is available on that page. 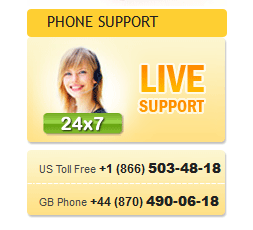 Another way to get a consultation with this online pharmacy is the live support which you can get by calling at one of their phone numbers 24x7. The company has shared an US and a GB phone number. So you either talk with them by phone or by contact form – no other way to talk with this pharmacy. I do think that the contact us section is heavily missing information and that’s the reason the contact section of Big Online Pharmacy receives a rate of 2 points. The pharmacy is offering only 2 phone numbers and a way to talk with them using the contact form and since I am not a very talkative person, I didn’t wanted to talk with them. Obviously, the only way left for me to get a consultation is via contact forma and that’s what I have done. I have asked them a few shipping questions and the answer from their consultant arrived to my email in a matter of a few hours (less than 2 hours to be more exact). The response was informative and professional. Customer Support Team is getting a rate of 5 stars. Big-Online-Pharmacy.org is an online pharmacy that is selling a wide selection of generic and branded medications for many health conditions and categories of medications. The prices at this pharmacy aren’t the best, although you can save a little bit of money. Unfortunately, you can’t really save from their coupon codes since there are none as you can only save from free shipping and free pills. The customer support team department answers your questions fast and in a professional manner, however the pharmacy has non prescription policy indicating fraudulent business, plus rogue status from legitscript.com and 1% of trust from scamadviser.com. All along with no customer reviews indicates that this pharmacy shouldn’t be fully trusted. Overall, big-online-pharmacy.org has a rate of less than 3 points out of 5.